The Summit B & B Holiday House, non hosted so you have full use of the property and grounds, couples or groups of 4 can book as a 1 or 2 Bedroom B & B option or the whole house, with full kitchen, lounge room and inground heated pool and spa. 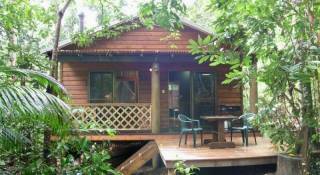 The Summit Rainforest Retreat is unique, in its quality, the number of guests it can cater for, its position and the native fauna & flora that surrounds it. 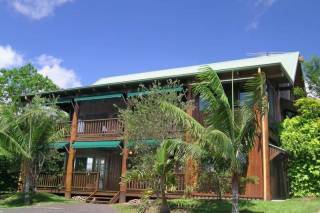 An exceptional apartment, holiday house and/or conference room on the Atherton Tablelands. 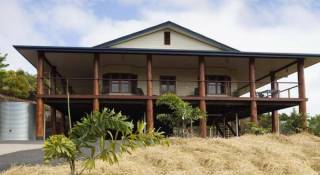 Atherton Blue Gum B&B is a home-away-from home. Spacious, clean, rustic rooms makes it a great place to base yourself. Wake to a chorus of native bird life and enjoy a continental breakfast which is included in the tariff. Discover the luxury of your own self-contained cottage, uniquely and tastefully decorated, and hidden in a tranquil rainforest setting. 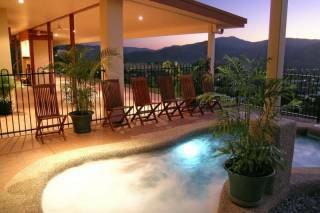 Ideally positioned to experience the beautiful Tablelands and just 1hr from Cairns. 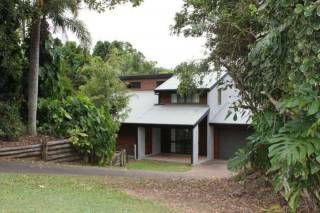 Set in 8 acres of bushland bordering Peterson Creek, home to the platypus and Lumholtz tree kangaroo; 100m to Yungaburra village and all facilities. Situated in 8 acres of forest, bordering Peterson Creek, 100m to the historical village of Yungaburra, and all facilities. 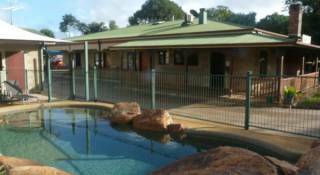 Curtain Fig Motel features a saltwater swimming pool surrounded by a rock garden, waterfall and barbecue facilities. All rooms include a private bathroom, air conditioning and heating. Park House Yungaburra is the perfect holiday home for couples up to groups 20 who are looking for a secluded spot that's close to both the water and the heart of the village.